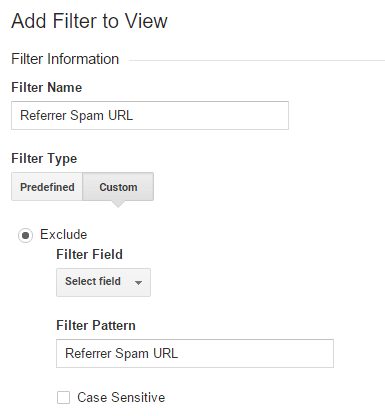 The Google-Liar.Ru referral spam in Google Analytics is a new breed of problem. This page is dedicated to eradicating it from your GA statistics. Google-Liar.Ru is just as bad a case of referral spam as any. It messes up your stats and unless you do something about it, it will just keep on harassing you. Thankfully, though, at least it isn’t a virus or any kind of malicious program with harmful intentions that has set out to destroy your website. Things could honestly be a whole lot worse. However, that’s not to justify what Google-Liar.Ru and the people behind it are doing – not at all. We think that the sooner you remove the spammers from your life and stats, the better. And it’s for that exact purpose that we created the removal guide you will find attached to this article. In it are all the detailed instructions that will help you block the referral spam and rid your website from the nuisance. However, do read through the following information first, as it will give you a better idea of what it is you are actually dealing with and it will also help you avoid making common mistakes in regards to combating these types of issues in the future. What is Google-Liar.Ru? What does it want? We already pointed out that Google-Liar.Ru is referral spam, but we would like to specify that it belongs to the subtype of referral spam better known as ghost spam. This is to distinguish it from the older subversion – classic referral spam. Both ghost spam and classic referral spam are essentially after the same things. However, they have slightly different means of achieving them. So, the goal of both types is to accumulate traffic for the spamming website, whichever it may be. They both even apply the same principle of doing this, and it’s by prompting other website owners to visit their site. The difference is in the technique of making this happen. In the case of classic referral spam, the spammers would send bots and crawlers over to websites like yours in order to simulate real traffic. The aim was to make the targeted website owners or admins notice this activity and question it, because the views would usually be very brief with a near 100% bounce rate. Yet, they would still keep recurring. Thus, the idea would be to get that website owner intrigued enough to click back on this visiting website that spends literally no time on the site. Whether or not that would actually lead to anything for that website owner remains irrelevant, as they will have generated traffic by clicking back on the spamming site. And now picture this happening on an absolute massive scale, with up to hundreds of thousands of websites being targeted. As you may understand, this is done to boost the spamming website’s ranking. Now for the difference: ghost spam like Google-Liar.Ru doesn’t use the bots or crawlers that classic referral spam does. This came as a necessity after Google was able to successfully combat classic referral spam. So, instead ghost spam went on to only affect the stats of the targeted websites and only create the impression that there were any views from the spamming website. As a result, your actual traffic count and ranking is not affected, but you, as the owner or admin, are tricked into believing so. And the same scenario is expected to follow: you click back on the strange visitor and generate traffic for it. Now, over time, the numerous fake views can start substantially twisting your stats, providing you with a completely misleading and manipulated general picture. You can easily stop this from happening by applying the steps in our guide below. But watch out for advice that calls for the help of the Referral Exclusion list. Many users have fallen into this trap and have suffered the consequences. By entering the ghost spammers into this list, you will basically be asking GA to check out the visits and follow up on the visitors. You remember, those that never actually happened? Well, what happens when Google Analytics tries to trace back non-existent visits is it gets confused. And as a result of that, not only does it not do something to help you, it actually marks those visits as real traffic. Now, instead of just having your stats affected, your real traffic count will be infiltrated with false data, too! So, some sound advice from our team: do NOT use the referral exclusion list to fight referral spam. Here’s our guide – use that. 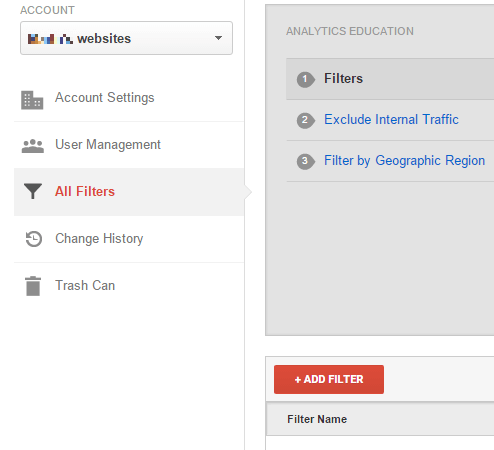 STEP 2: Next, click New Filter and add Google-Liar.Ru in the Filter Name value. STEP 3. Select the Custom Filter Type. In the Filter Field —> Campaign Source. In the Filter Pattern text box, add Google-Liar.Ru and click the Save button at the bottom of the webpage. You are most welcome! As for the guide, were you able to access the .htaccess file?